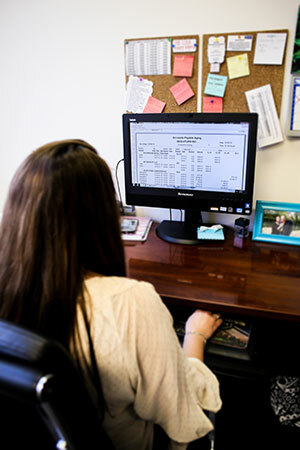 Eliminate redundant data entry by automatically converting estimates into orders. Track each order seamlessly from estimate all the way to job folder. Automatically pull finished products and materials from inventory so you can monitor your inventory levels in real time. Quickly notify purchasing of any inventory shortages. Control your timing and scheduling by setting release dates and times for materials and jobs. Keep your team informed by printing scannable folders for each and every job. Quickly make changes to materials, quantities, and dates so you can meet your customer’s changing needs. Time is money in the manufacturing business. You can’t afford to have your staff doing repetitive and needless work. Automate this part of your business by using software that automatically converts your estimates into orders. Then use the software to distribute the job order information to the rest of your shop. Within minutes, your team can have everything they need to get the job started. 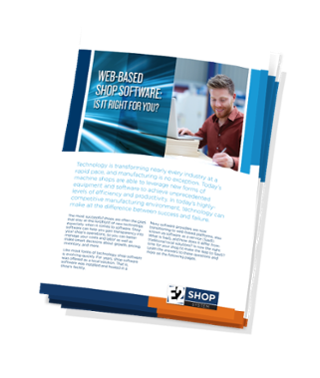 With our job shop software system, you control your shop floor. Your shop floor doesn’t control you. You can set dates and times on materials and jobs so they release according to your schedule. You can also change any aspect of a job, so you have ultimate flexibility. The customer accepts your estimate and chooses you to do the job. That’s good news, right? But then comes all the busy work. Someone has to take the estimate and turn it into a job folder. 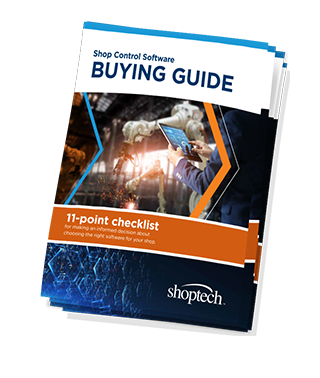 You have to construct the purchase order, acquire the materials, and create a traveler for the shop floor. That’s a lot of busy work for someone in your shop’s office. Not anymore. 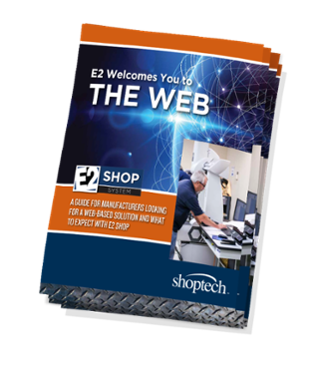 With Shoptech’s E2 Software, your estimate will automatically convert into an order, meaning all the data entry will automatically complete for you. That way, you and your team can focus on more important items like winning your next big deal. 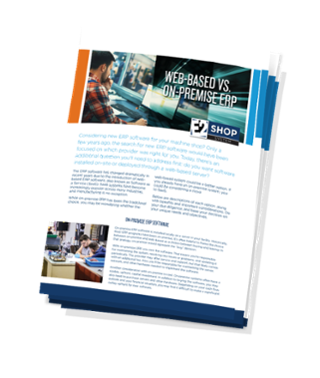 E2 has dramatically increased the overall efficiency in quoting, entering orders and shipping. Having all the job documentation linked and available in one spot is great.